Today, I’ll show you a few dishes I cooked at home. All of them are absolutely delicious and good for you. Let me introduce them one by one. These recipes are easy and no not require special skills. Feel free to comment which dishes are the most mouth-watering for you. Are you going to cook one of these meals during the next week? The recipe is simple. 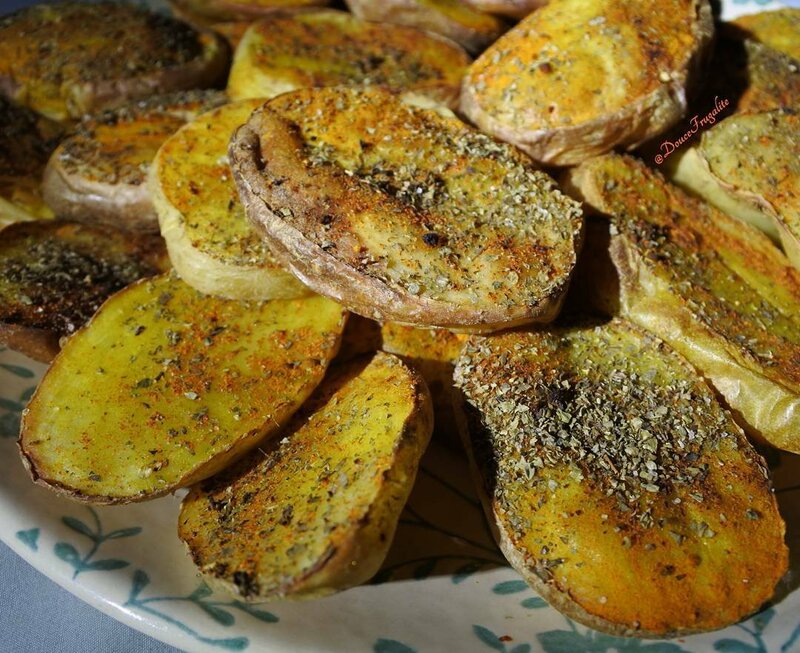 Coat potato sticks with curry powder and aromatic herbs, then bake them in the oven. I posted this picture first because I think everyone should try this recipe. 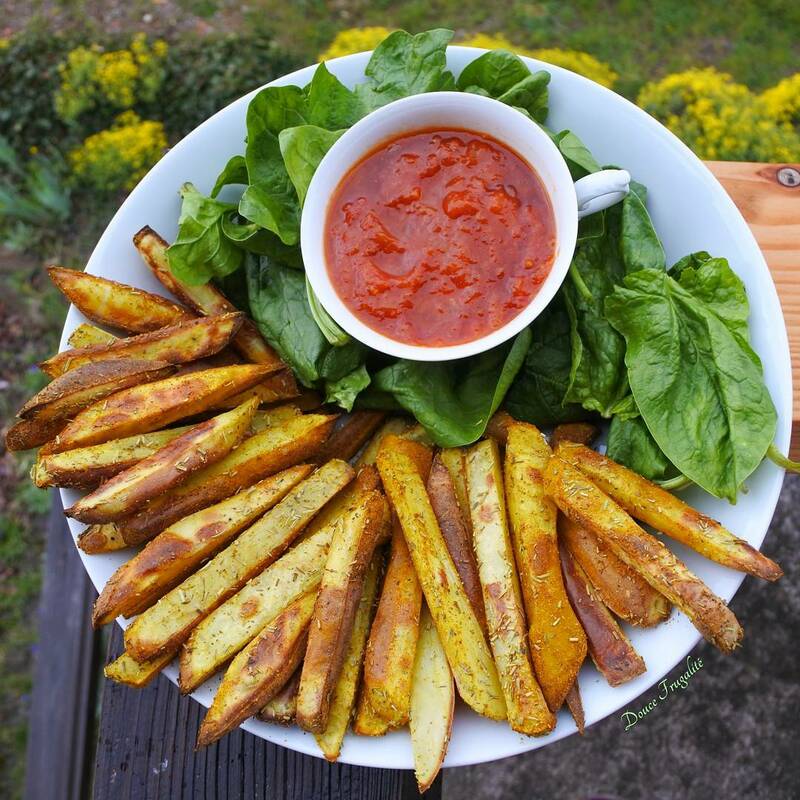 If you haven’t tasted baked oil-free fries, then you’re missing out big time! This is the same recipe with potato slices instead of potato sticks. Adjust the cooking time depending on your oven and the thickness of your slices. Preparing fresh guacamole is easy and tastes always better than packaged guacamole. 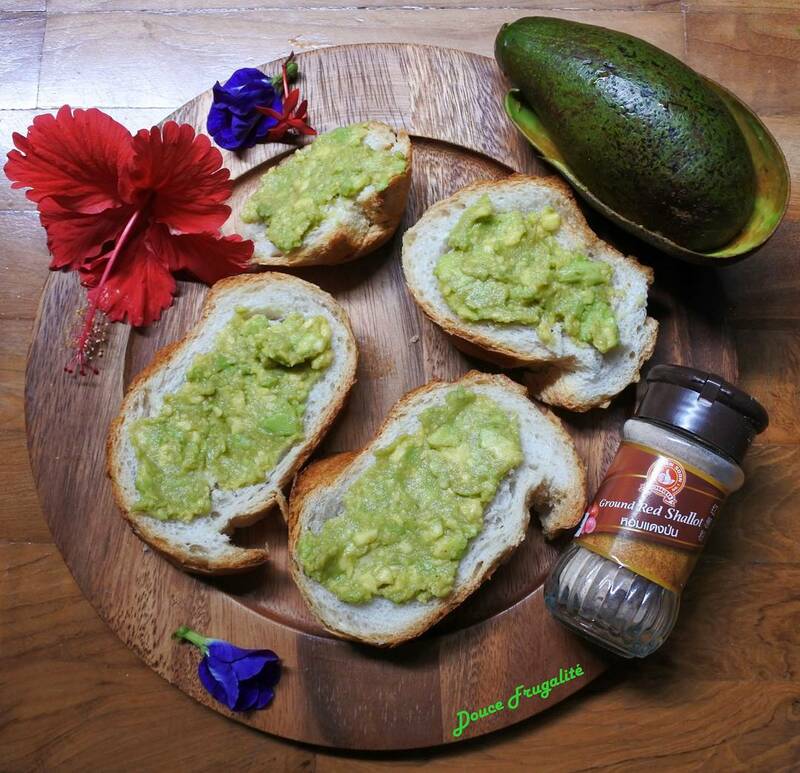 Mash a ripe avocado, add some lime juice, tomato pieces and some spices to your taste, like black pepper, curry or chili powder. 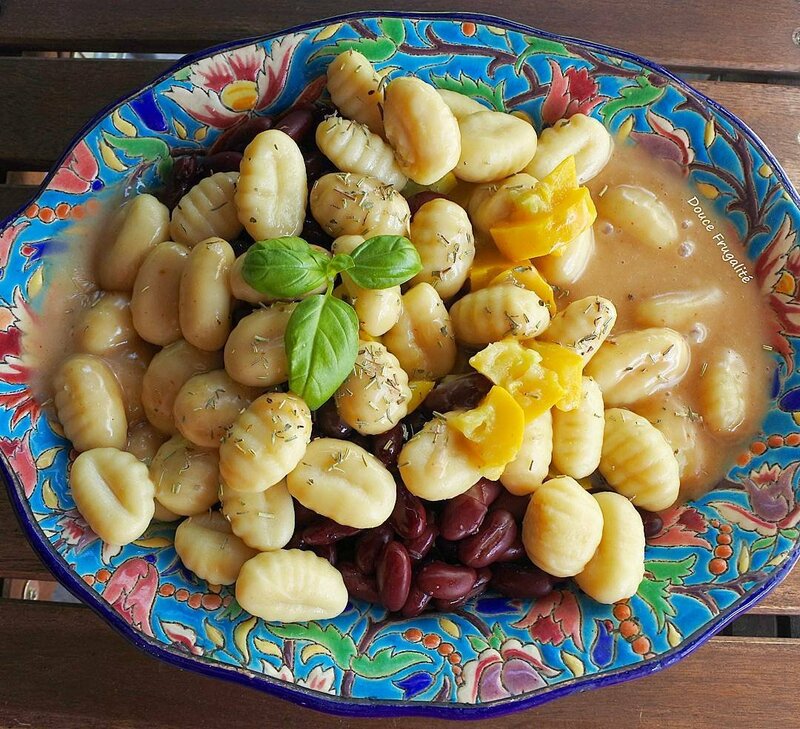 This is simply made of standard gnocchi, canned kidney beans and plant-cream. I also added basil leaves and cooked yellow zucchini. You’ll find plant creams like soy cream, oat cream and rice cream in the organic/dietetic section. Put your rice in a bowl, then unmold it on a wide dish. 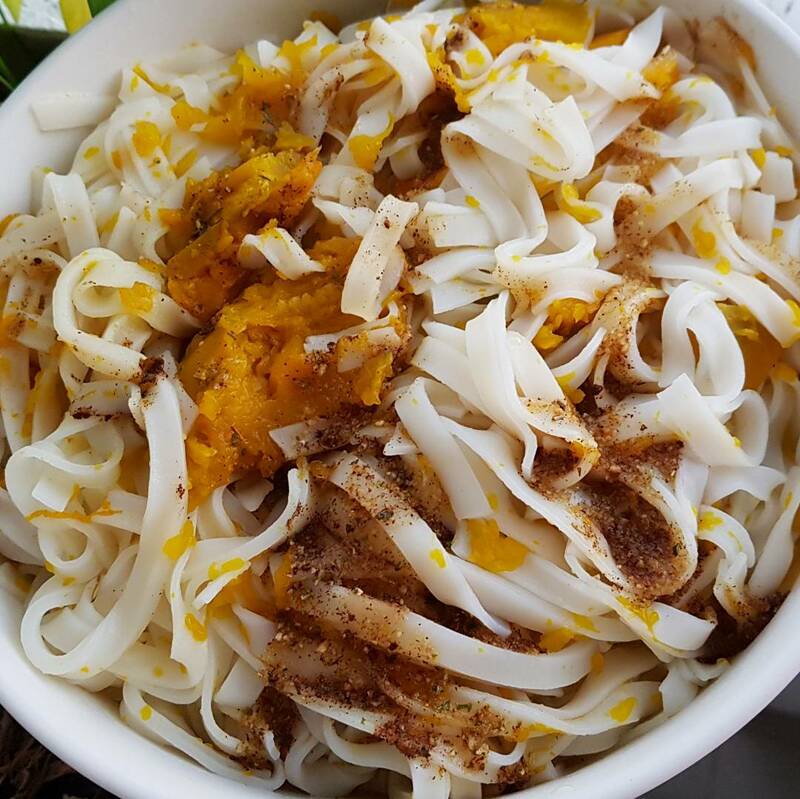 Now you can spread the cooked pieces of sweet potatoes and pumkin over the dish and serve. This is slices of lotus root. I think it looks amazing. I have put many kinds of vegetables in this big bowl, but you can use any vegetables and starches you like instead. 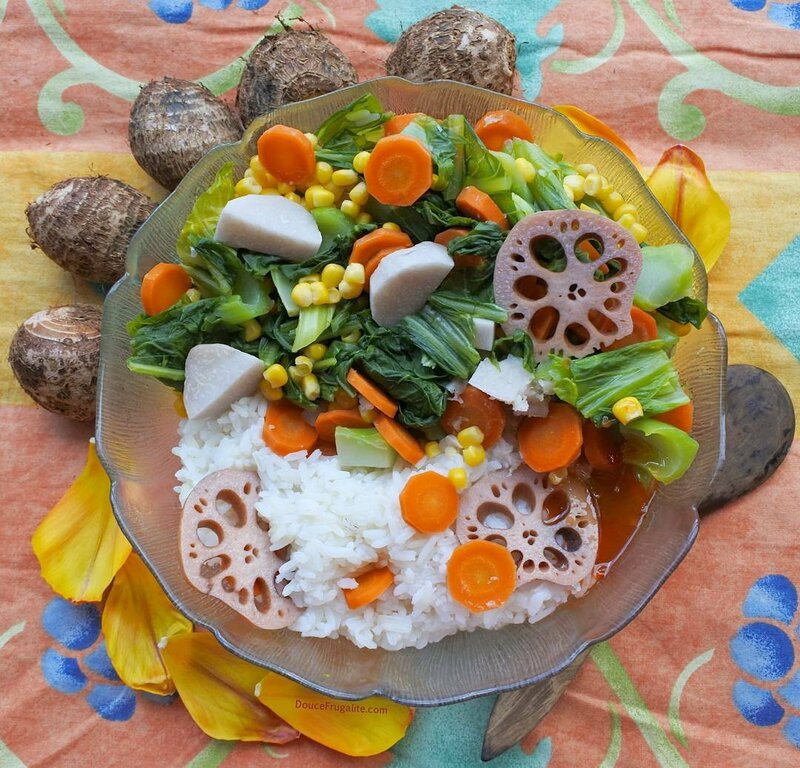 Here I cooked rice, lotus root slices, taro root, carrot, corn and pak choy. 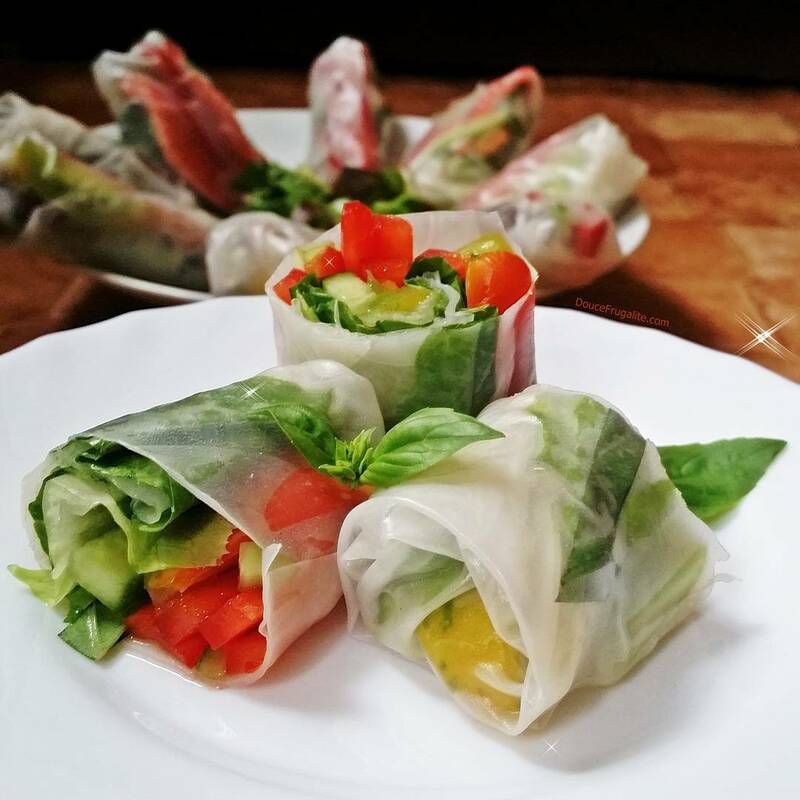 Get some rice disks at an Asian shop, soak them for 30 seconds, then garnish them with raw vegetables like: cucumber, carrot, red/yellow bell pepper, mint leaves, lettuce, avocado, tofu. You can dip them in diluted soy sauce. This is the most complicated recipe in this page. Follow a standard lasagna recipe, using vegan cheese and vegan cream instead of animal-origin ingredients. 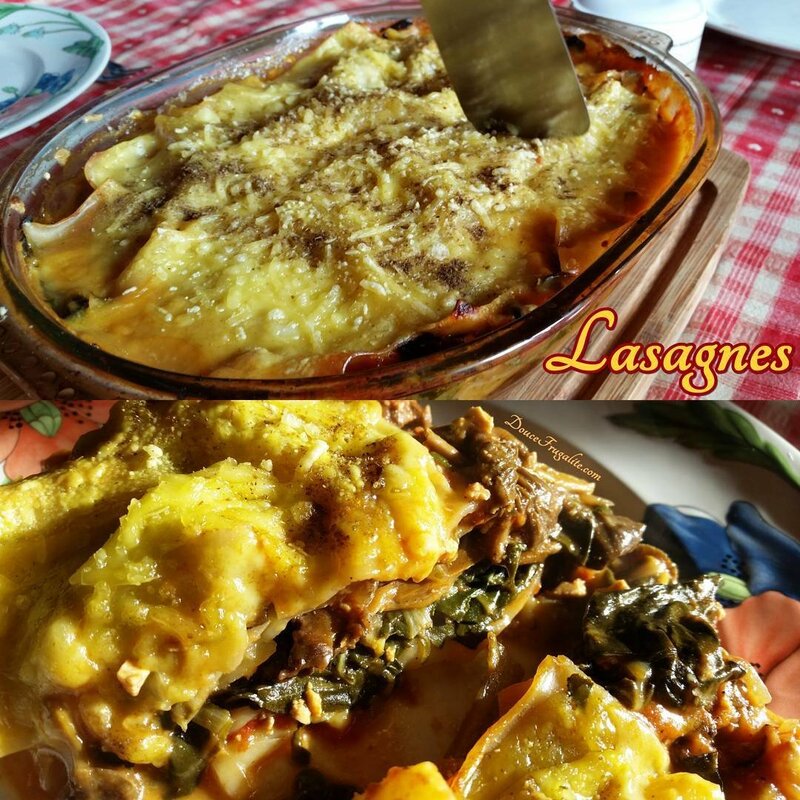 Add layers of lasagna pasta, no-meat bolognese (tomato sauce with mushroom and/or tofu), spinach, vegan cheese. Top it with a plant-based bechamel and bake it. You can’t be wrong with pizza. Feel free adding all the veggies you like, and even starches like potatoes if you like it. 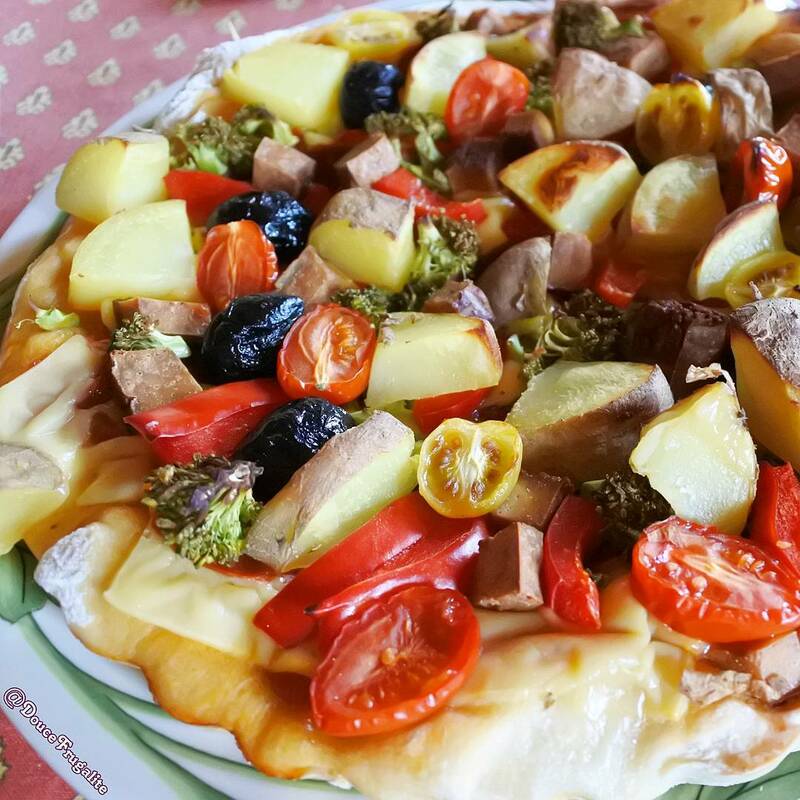 I like to have molten vegan cheese or vegan salami, pineapple, potato, black olives, red bell pepper, cherry tomatoes, broccoli and oregano on my pizza. 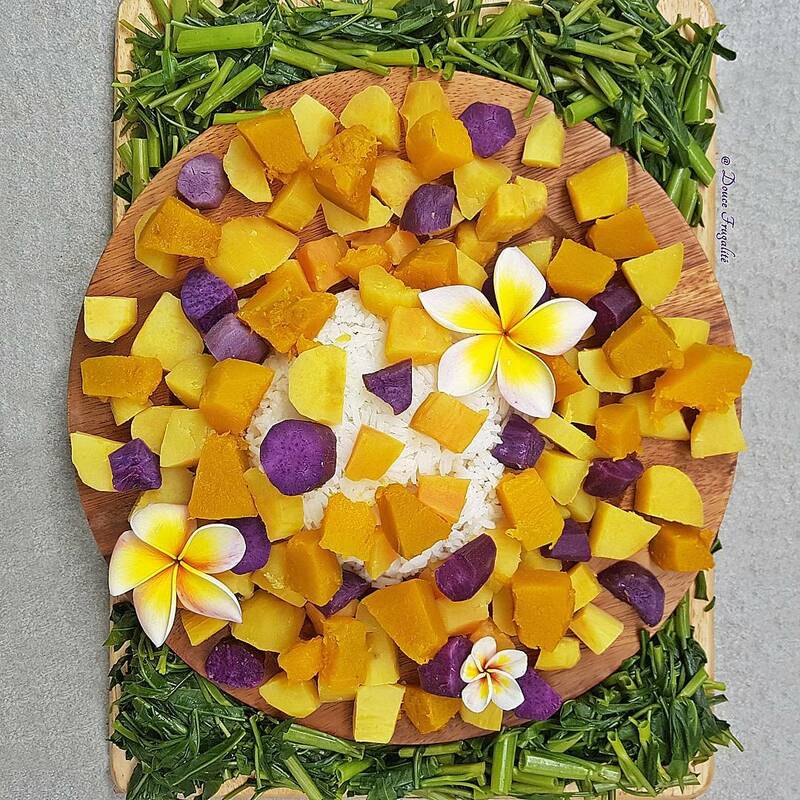 A Buddha bowl consists of a healthy big bowl of legumes, vegetables and starches. 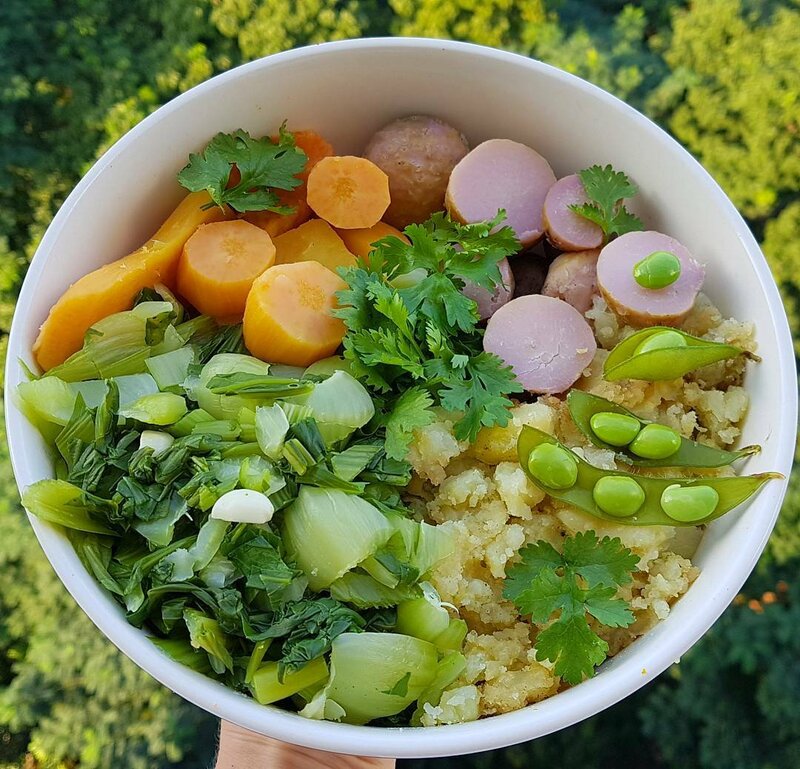 The bowl on the picture below includes mashed potatoes, edamame beans (immature soy beans), orange sweet potato, bok choy, cilantro leaves and unknown ball roots. I like to blend stuff. The light yellow puree is made of blend cooked potatoes only. 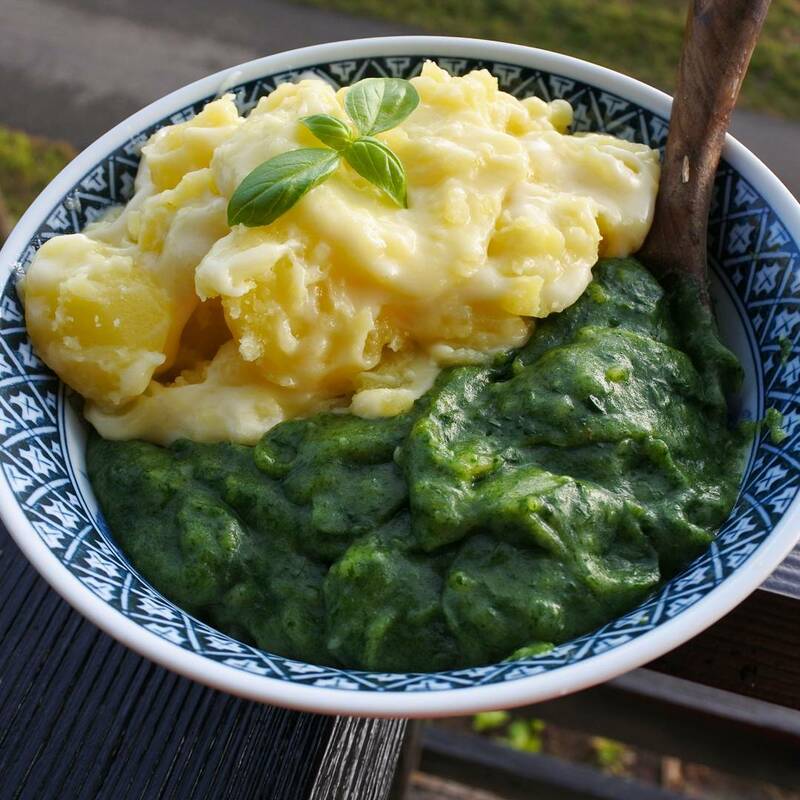 The green puree is a blend of cooked spinach and potatoes. You can add a tiny bit of salt and other spices, according to your taste. A feast without guilt. 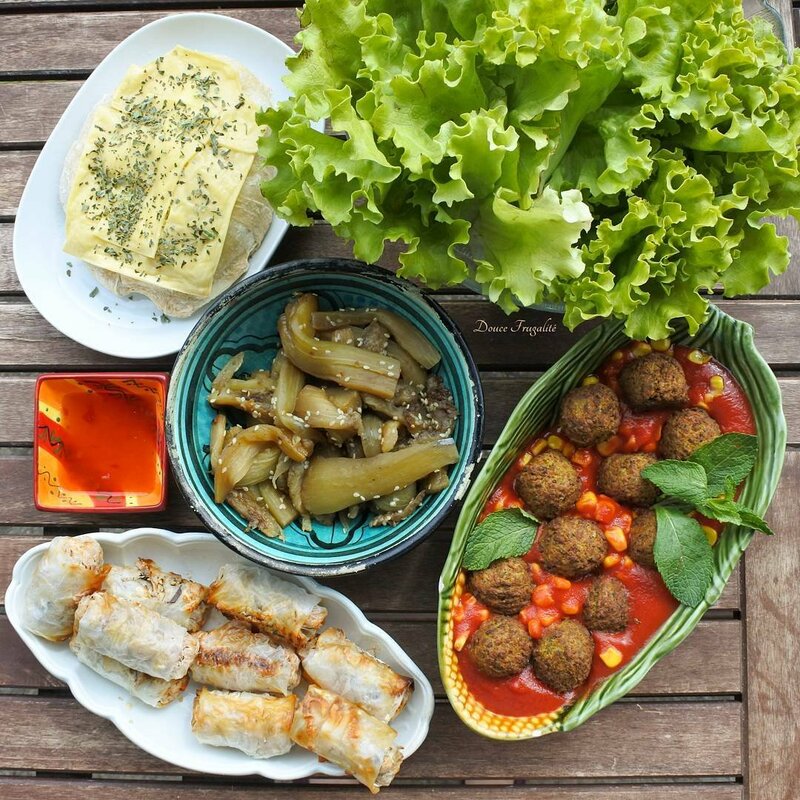 Here is what I cooked: Bread topped with molten vegan cheese and Provencal herbs, lettuce, cooked eggplant, fried vegetables spring rolls, fried plant balls and corn grains in tomato sauce. This is one one the meals make at least once a week because I think it tastes awesome. I sprinkle it with this mix: 1 tbsp soy sauce, 2-3 tbsp water, ground spices. 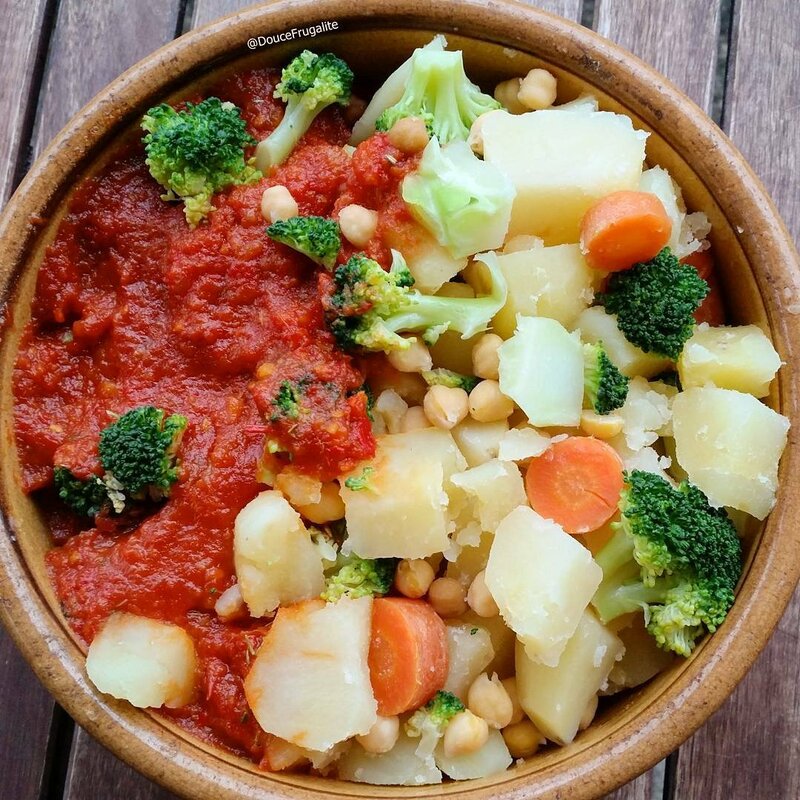 Homemade cooked vegetables on this pictures: potatoes, chickpeas, broccoli florets, carrots and tomato sauce made by my mom. 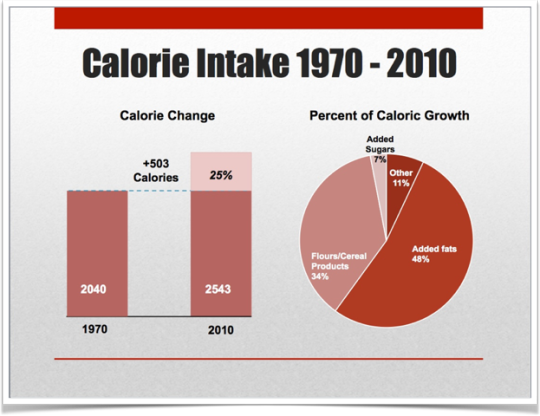 It fills your stomach, nourishes your body and doesn’t make you fat.